Are you coming down to the wire with your holiday shopping? One thing to always keep in mind, particularly for last minute gifts or gifts you can bring when visiting someone or going to a party, is gifts of food. Thing of stuff that’s unique and interesting that people will love but won’t necessarily buy for themselves. Trendy and delicious, fancy and French macaroons are one of those little luxuries which are so hot right now. They also look like little works of art. Making them can be fun but receiving a beautiful box from Paris – even better! Fauchon macaroons are just one special way to give this diabolical treat! Saveurdujour, Danny Macaroons and Macaroncafe are also great places from which to order. It’s obviously too late to order online, so you’ll have to rely on Google and find some in your area. But as you can see from the beautiful photo above, Macaroons look great, and most women appreciate beauty. They taste great as well, so this gift can compliment the other stuff you have in mind. We’ve talked about gadget gifts and stocking stuffers, and here we have two items that are great for the tech-savvy people on your list who like to create music. This cool device from Griffin Technology (pictured above) is designed to work with any instrument that has a ¼ inch jack (including guitars, bass guitars, electric violins, keyboards, etc. ), GuitarConnect Pro was created to turn iPad or iPhone into a compact performance or practice rig. A built-in gain control wheel allows the user to adjust the strength of the instrument’s input signal. Users gain a high-quality, all-digital connection from guitars and other instruments directly into GarageBand and other audio apps. It’s a simple yet very powerful device and music lovers will really appreciate it. And, it fits nicely into a holiday stocking! 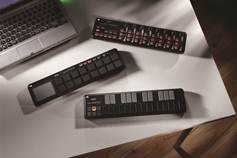 Here we switch to keyboards, which is a very popular way to create music. The nanoKEY2 is built with 25 keys and allows full control of pitch. It’s one of the devices in the NanoSERIES2 which are all compatible with GarageBand. Imagine how much fun music-lovers can have playing around with this device. Even if someone hasn’t tried to create their own music in the past, devices like these two above offer an easy way to get started. They spur the creative process, and for that reason alone they make great gifts. In today’s world, you always have a need for more storage, and as we start to organize photos and videos in digital format, we need ways to back up and protect our data. 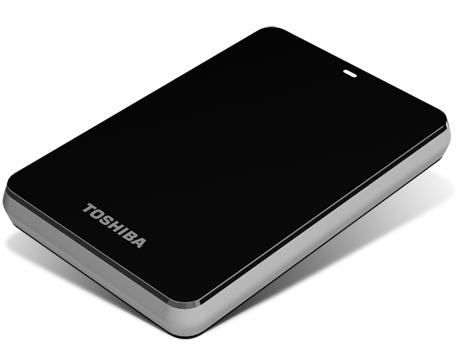 Toshiba has introduced a new series of Canvio 3.0 hard drives that meet these needs. They offer blazing-fast transfer speeds and pre-loaded backup software, and they are cloud-backup capable. The units offer a variety of storage capacity and we tested the one terabyte model. One of the main characteristics of these devices is the ability to sync with the cloud. The Canvio 3.0 is pre-loaded with Windows™-based NTI® BackupNow EZ™ software that provides step-by-step and fully-customizable backup capabilities to the cloud and to the drive. Users create a cloud account with NTI® BackupNow EZ™ where they can backup specific folders, certain file types, and conduct a complete system backup to the Canvio 3.0. The backup software also scans the user’s system and files and recommends which files to backup to cloud-based or on-device storage. The Canvio family now includes the support of USB 3.0, enabling Canvio users to take advantage of the faster data transfer speed of USB 3.0-enabled devices. We were impressed with the speed when we tested it out. 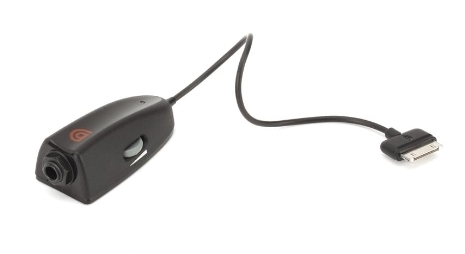 Some advanced features include complete password protection with up to 256-bit data encryption to prevent unauthorized access to data and an on-screen Drive Space Alert monitor that sends an alert when storage space is running low. The internal Shock Sensor and Ramp Loading Technology protect the drive during daily movement from a pocket, desk, bag, or beyond so you can feel comfortable carrying this around. It’s amazing how small these devices have become and how much you can store in a portable device. The design of the unit is very slick and sturdy with rounded rectangular form factor and sleek high gloss finish. It’s also easy to grip it on the sides. It’s available in black, white, silver, red, green, and blue3. This makes a great gift for anyone on your list, both techies who will appreciate the advanced features and others who need a simple way to protect their photos and home videos. Check out our Holiday Gift Guide for more gift ideas.